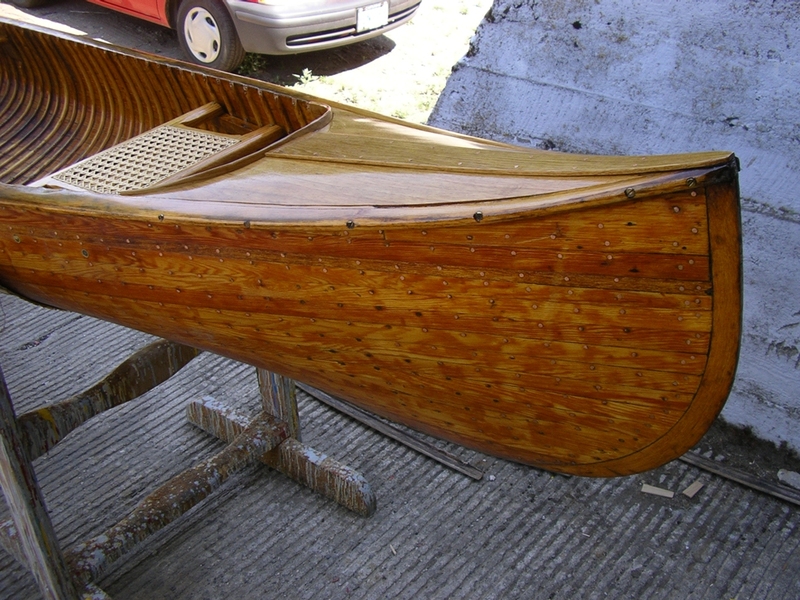 Many “fancy” antique wooden canoes have beautiful up-swept sheer-lines at the ends. 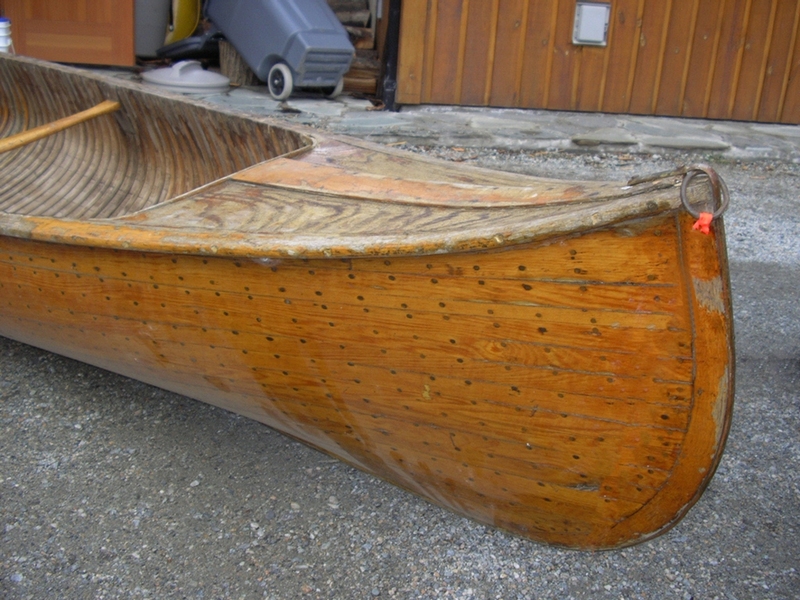 The curved end profile in many canoes built by canoe companies such as Old Town, Kennebec, Robertson, Monohon, Canadian, Lakefield and Peterborough elicit gasps of admiration from passersby and groans of despair from would-be canoe restorers. 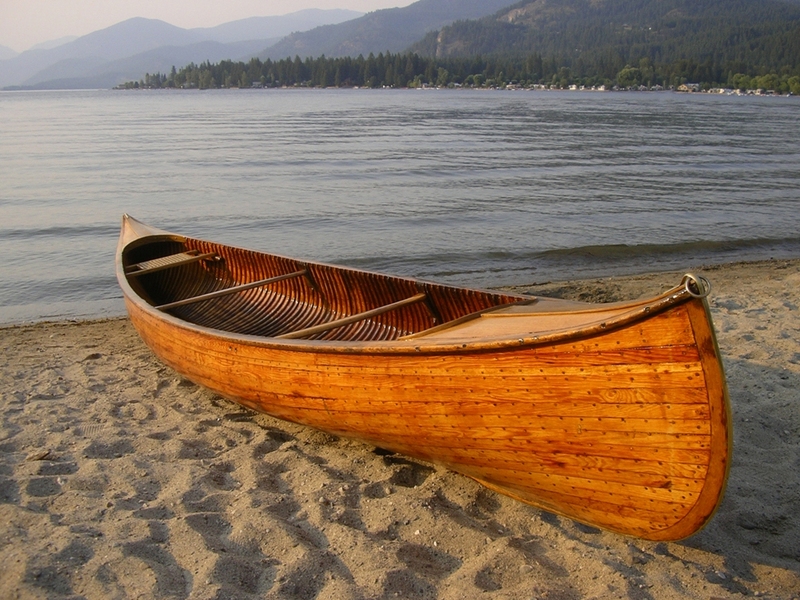 Let’s look at the Model 44 all-wood cedar-strip canoe built by the Peterborough Canoe Company (1879-1961). Generally speaking, long decks are comprised of several distinct components. 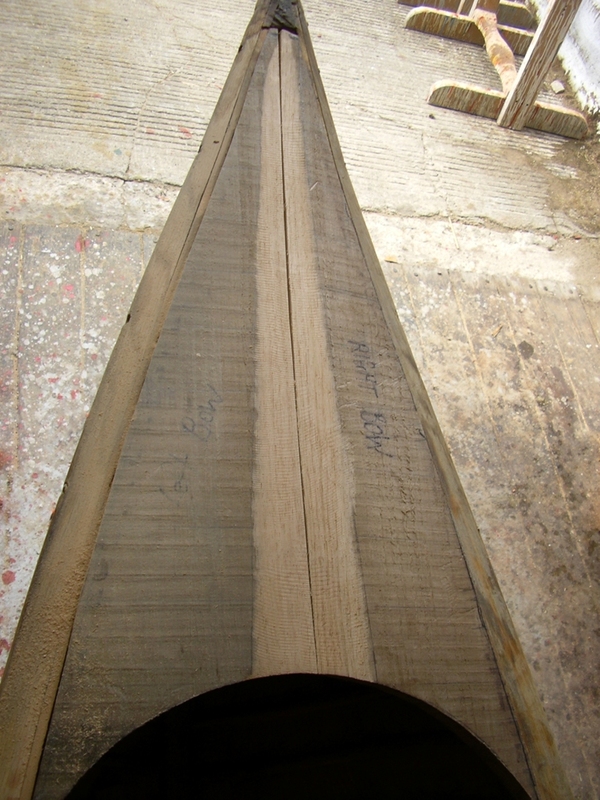 In addition to the deck itself, there is a king plank which covers a central joint and a coaming which covers the end-grain of the deck components. Some of these decks are built around a frame which is then covered with a thin veneer. In the case of Peterborough and other companies based in Ontario, the deck is built with solid wood. 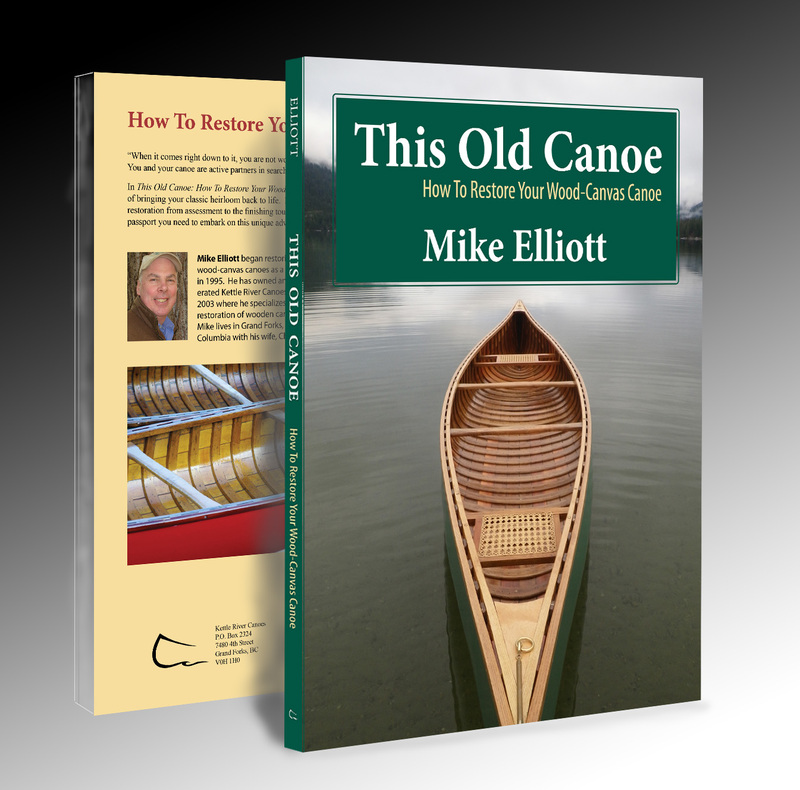 When I started restoring this canoe, it looked fairly good considering that it was 87 years old. However, I had my doubts about the integrity of the decks and suspected to discover some issues there. 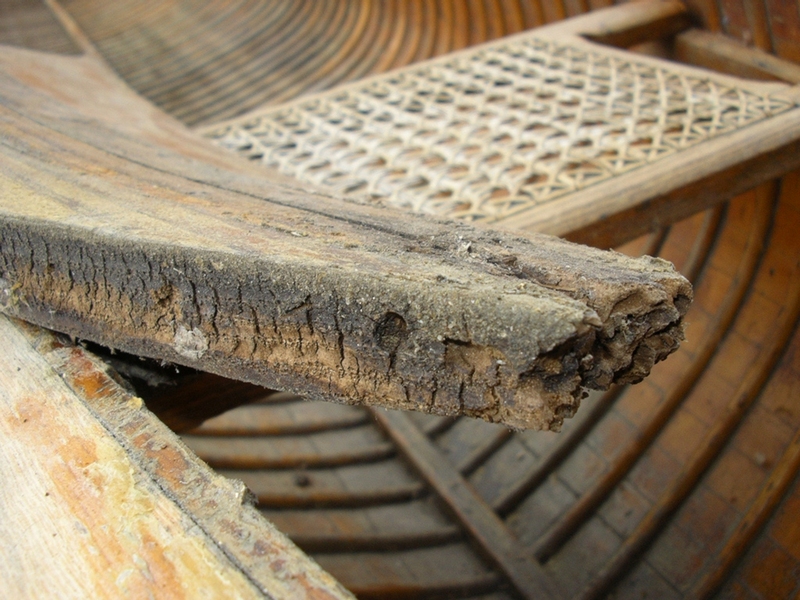 Sure enough, the decks were full of rot and had to be replaced. Each deck was comprised of two pieces of butternut (white walnut). They were braced together from below by two pieces of hardwood. The joint between the deck pieces was covered by a cap of white oak and the end grain was covered by a white oak coaming. When disassembling the deck system, make notes and diagrams of every component and screw. Make sure you know exactly what every part is and where it fits in the system. Many of the original screws are impossible to source now, so keep them, clean them and reuse them. 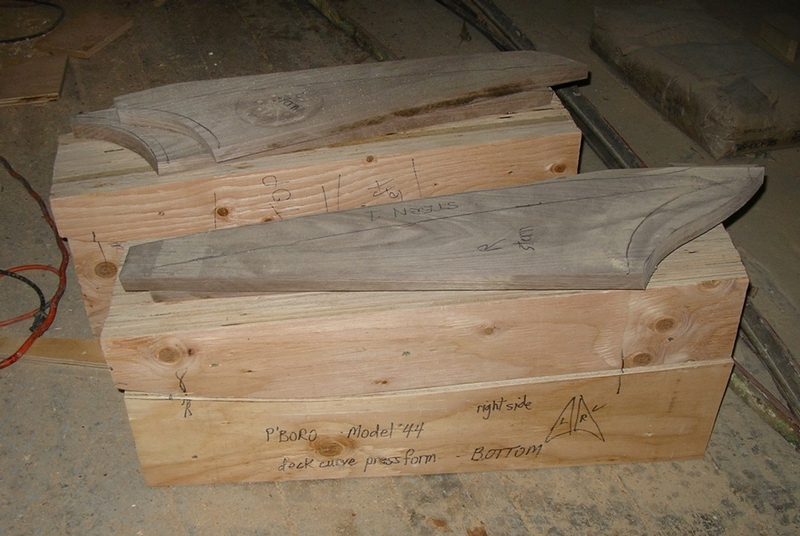 The original butternut sections were bent to fit the up-turned profile of each end. Sourcing four-quarters (4/4) butternut in boards 8″ (20 cm) wide is a challenge. I was able to locate a supplier in Pennsylvania. The inside edge of each half of the deck had an 8° angle to create a gentle arch to the entire deck. The first step in the construction was to cut that angle into the new butternut planks. It is absolutely essential that the camber be cut before anything else is done. Now, build solid wood forms for steam-bending the butternut. Each half of the deck requires both a top and a bottom form of solid wood. The new wood is soaked and steamed before it is placed between the two halves of the bending form. 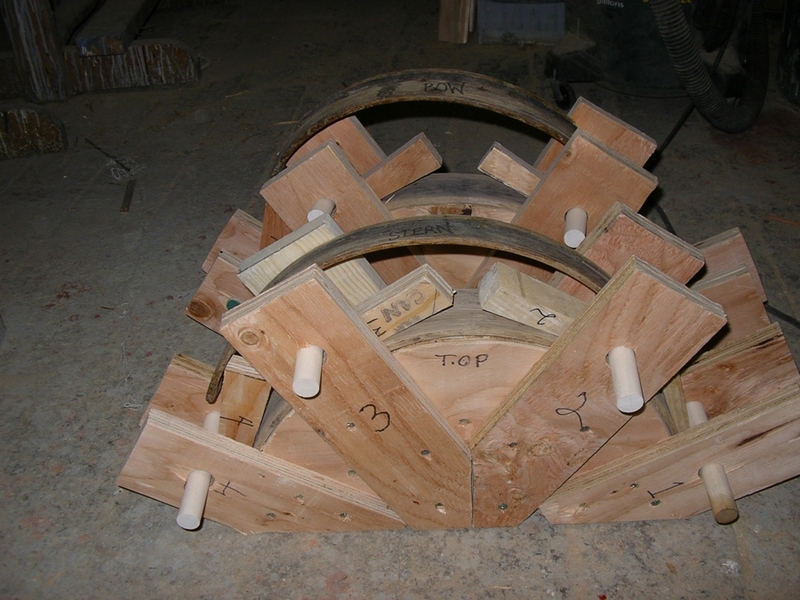 The forms are them pressed together and held there until the newly bent wood dries. To build the forms, transfer the curve of the deck directly from each half of the deck onto ¾” plywood. Add a bit more curve to the forms (about 1/2″ or 13 mm) to compensate for spring-back in the wood when it is released from the bending press. 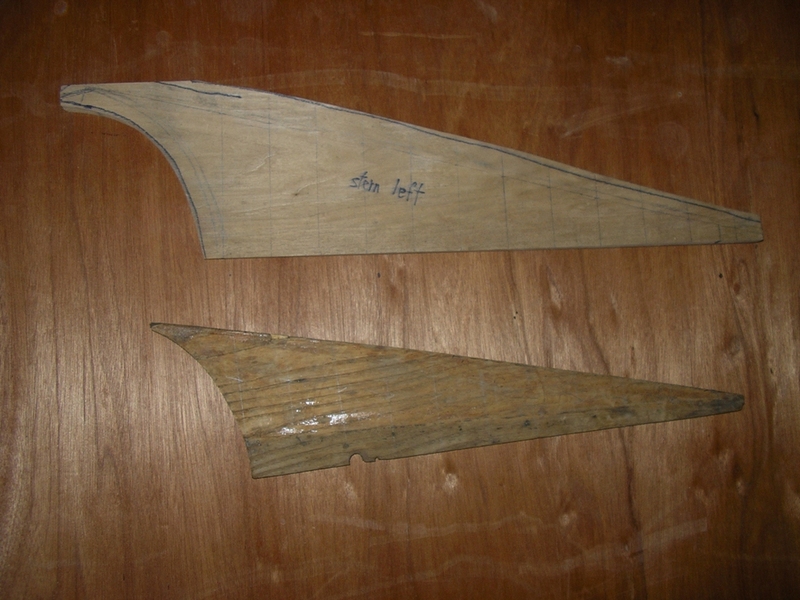 Cut the shape of the bending forms from pieces of plywood. Laminate a number of identical pieces together until you create a solid form that is wide enough to accommodate the new wood. In this case, I created top and bottom forms for each side of the deck — four components all together — each 7½“ wide. 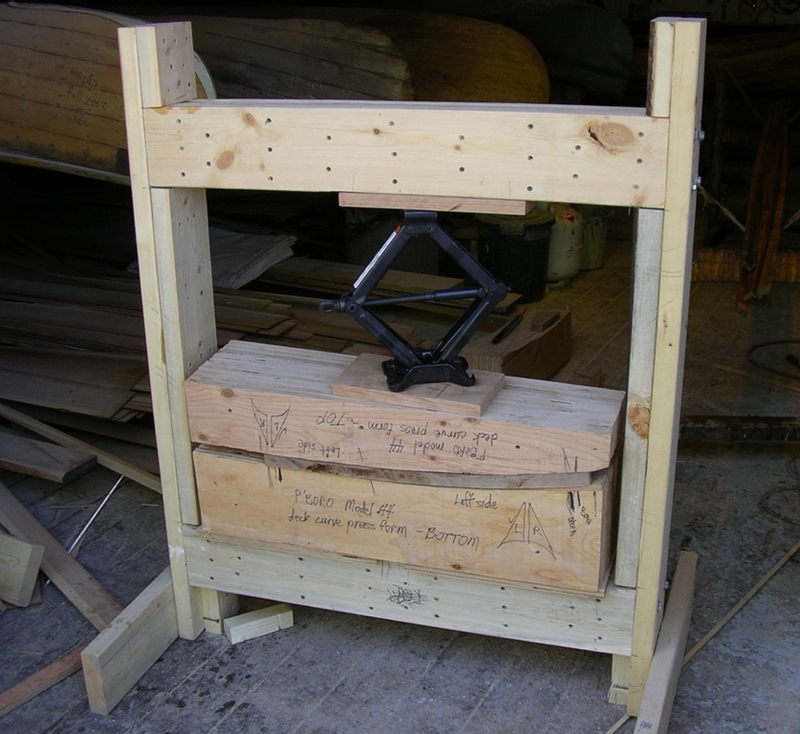 Construct a press to hold the bending forms. In this case, I made the press out of 2×6 lumber and used a scissor jack from my car to generate the pressure required in the press. The top and bottom beams were comprised of three 2×6’s and a piece of ¾” plywood. The entire press was glued and screwed together for maximum strength. This system only allowed one half of one deck to be done at a time. Each piece of new butternut was soaked for two days, steamed for an hour and then placed in the press for two days. It took almost two weeks to bend all four deck pieces. Once you have the new wood bent and the curve matches the curve in the original deck pieces. 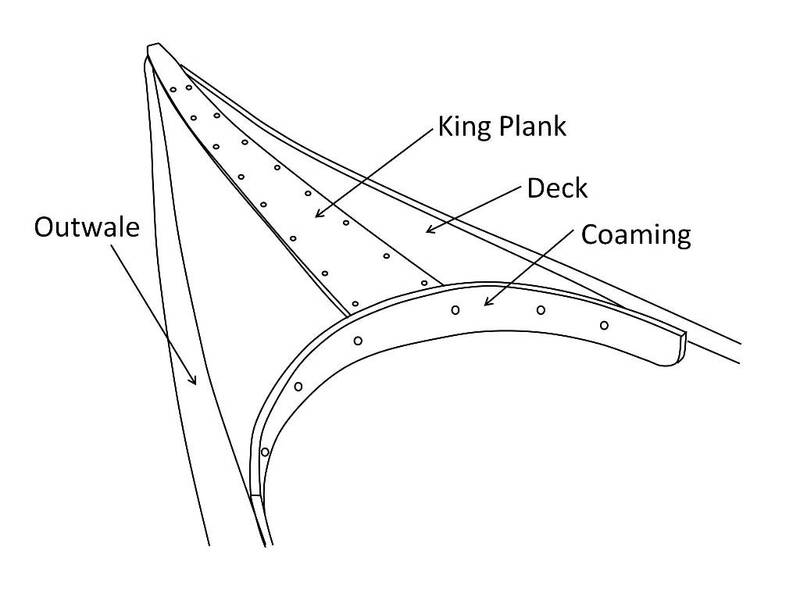 Matching the curve in the new deck pieces to the curve in the original decks may take a number of attempts (with adjustments to the curve in the bending forms). Don’t expect the curves to match the originals after the first attempt. Once the new wood matches the original curved pieces, draw reference grid lines at 2” (5 cm) intervals onto each piece of the original decks. Measure the distance from the centre line of the deck piece along each reference line to the outer edge of the deck. Transfer these measurements onto the new deck pieces. Next, cut the outside edge of each piece on a band saw. In this case, the outside edge was also angled. It is important to copy that angle from the original deck pieces onto the new wood. 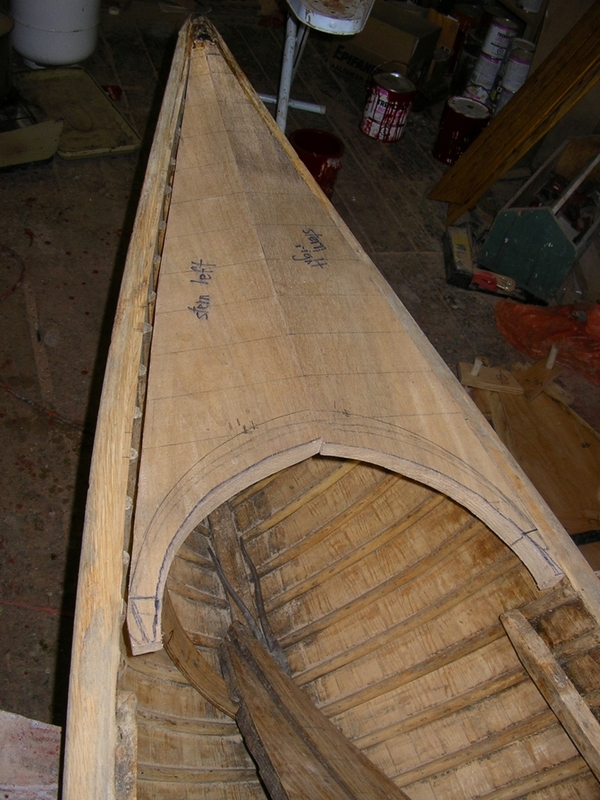 Cut just outside the line to allow for final fitting in the canoe. Assemble the two halves of each deck with the original brace pieces on the underside of each deck. If the brace pieces are weak, make exact replicas with the originals as templates. Jointing the two halves of each deck takes a great deal of careful shaping and fitting to create a surface on the underside which is an exact copy of the original. In this case, I ended up making both decks twice. During my first attempt, I rushed into shaping the top surface of the decks without checking the underside surface against the original deck pieces. I discovered – too late – that both the top and bottom surfaces of the decks are shaped in very precise and complex ways. 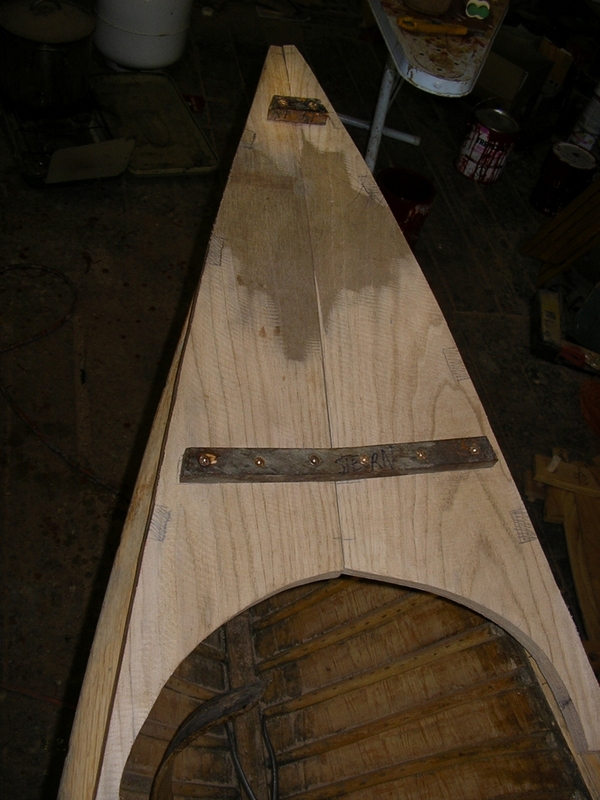 With the underside shaped and braced, dry fit the decks into the canoe. In the Model 44 Peterborough, the end of each deck fits into a notch in the inner stem. Make that notch as the first step in fitting the deck. In the Model 44 Peterborough, three ribs fit into notches in the underside of each deck on each side. Line up these notches and cut notches in the new decks using a dovetail saw, a chisel and a mallet. 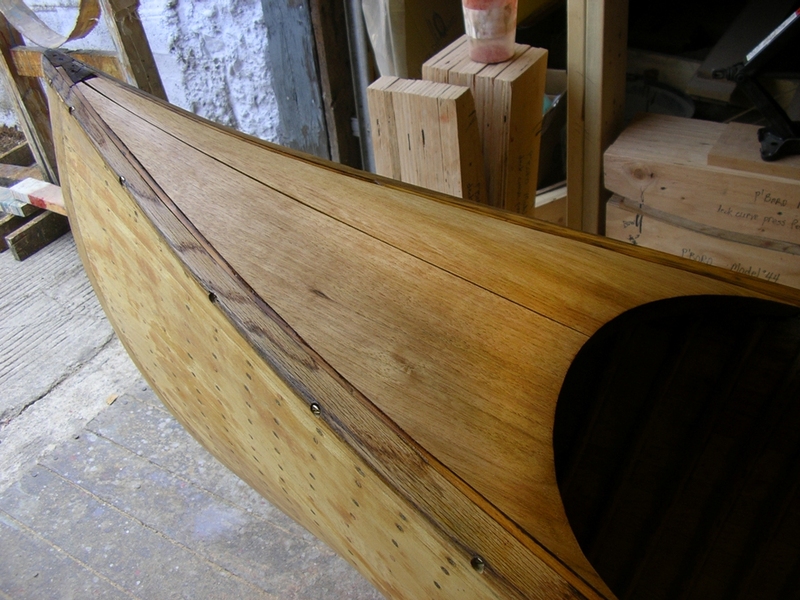 The final assembly of each deck includes a coaming that covers the end-grain of deck at a precise location in the canoe. 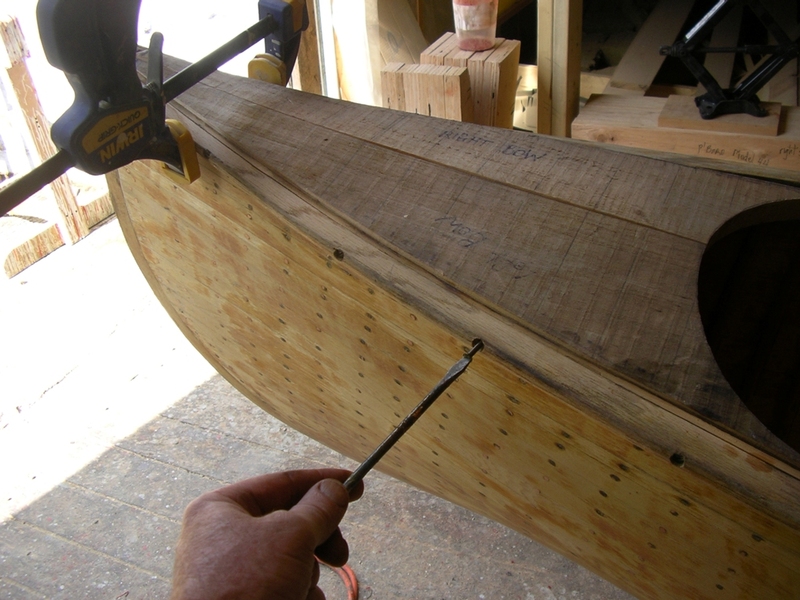 Mark this position and draw the curve of the deck onto the new wood using the original coaming as a template. 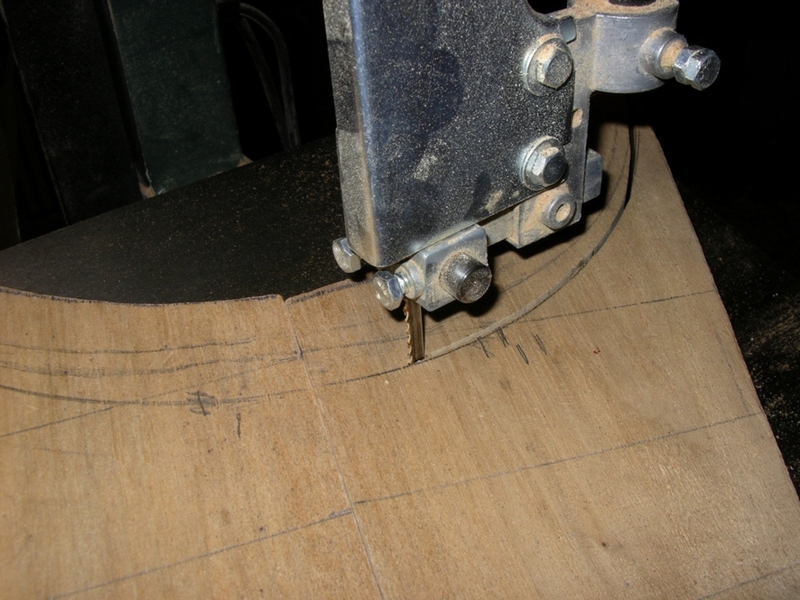 Cut the curve of the deck on the band saw. In the Model 44 Peterborough, there is an angle to the curved face of the deck which must be copied from the original. While the decks, prepare the deck coaming pieces as well as the deck-caps. Cut new wood for these pieces and plane them to the thickness of the originals. Then, build steam-bending forms for the coaming pieces. Next, soak and steam-bend the new wood. In this case, the original coaming pieces were white oak. In early (circa 1900) canoes, the coamings and deck-caps were mahogany. Make sure there is extra height and length in the coaming pieces to ensure that a perfect fit can be achieved in the final assembly. Fit the deck components through a long and painstaking process of shaping and dry-fitting until everything comes together with precision. Now, clamp the deck in place and secure it with the original fasteners. Begin shaping and sanding the top surface of the deck by making a flat surface for the deck-cap that will cover the centre-line joint. 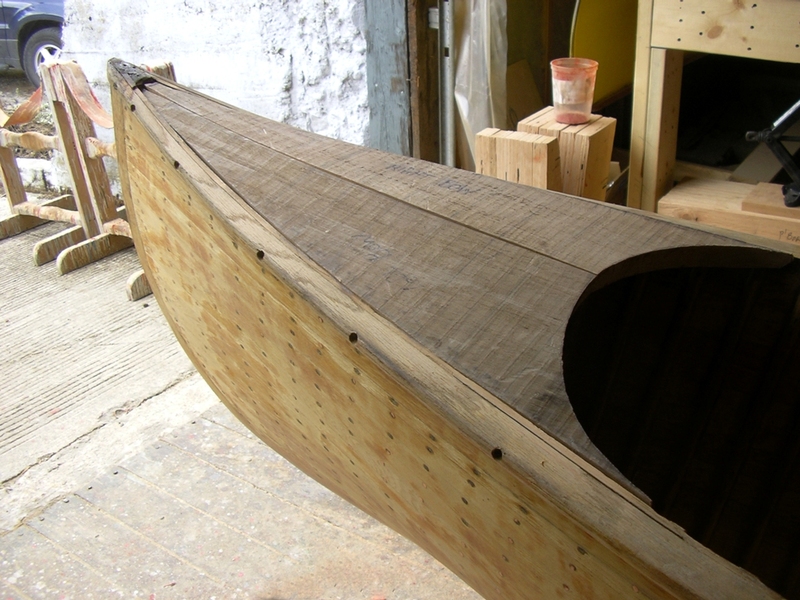 Shape and sand the deck into the graceful curves of the canoe. Use a random-orbital sander in progressions from 60-grit sandpaper to 120-grit and then 220-grit. Wet the top surface of the deck with water to raise the grain of the new wood. Once dry, use hand-sanding in progressions from 320-grit to 400-grit and finally 600-gir to polish the wood satin smooth. I complete the sanding by using a piece of paper from a brown-paper bag to get a delicious, glossy finish. The craft paper in a brown-paper bag is the equivalent of 1200-grit sandpaper. 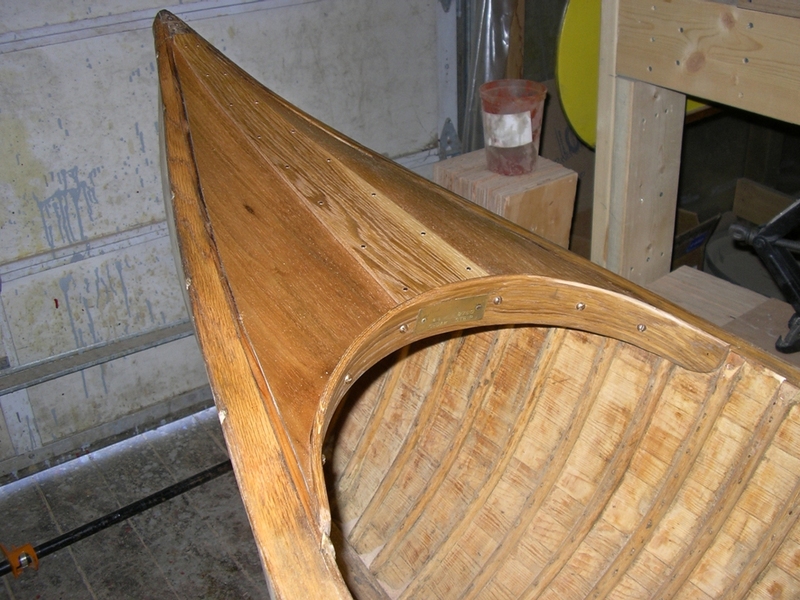 Next, stain the new wood to match the colour of the original wood in the rest of the canoe. Attach the coaming pieces with 1.25″ (32 mm) #8 silicon-bronze round-head slot wood screws. Attach the deck-cap with ¾” 16-gauge silicon-bronze ring nails or copper canoe nails. The final finishing is the usual process I have described in previous blog articles as well as my book.